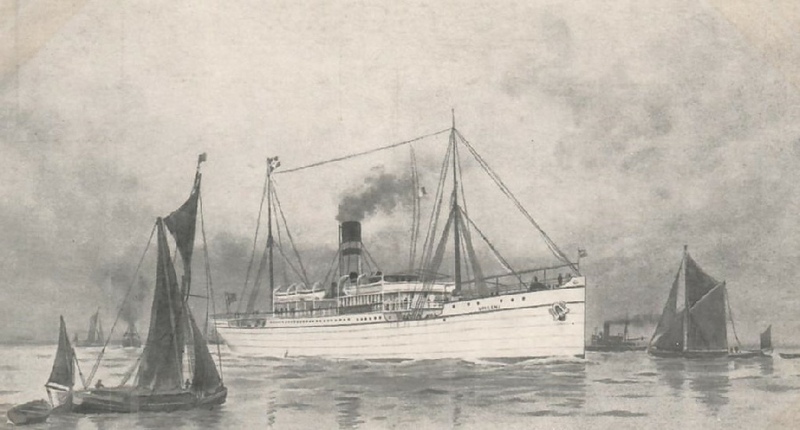 At the outbreak of the First World War the Umgeni was taken over by the Admiralty for service as a supply ship. On November 7th 1917, she left the Clyde in convoy for Lagos. Two days later the convoy ran into foul weather and became dispersed. The Umgeni was never seen again, but bodies and wreckage from her were washed up along the west coast of Ireland.